ARForms Mollie Payment allows you to accept “One time Payment” as well as “Subscription Payment” payments with super ease. Start accepting mollie payments on your WordPress site in a few minutes! This is very simple solution for users who want to simply start to sell products online quickly / contribution on your site. Seamless integration with ARForms plugin. 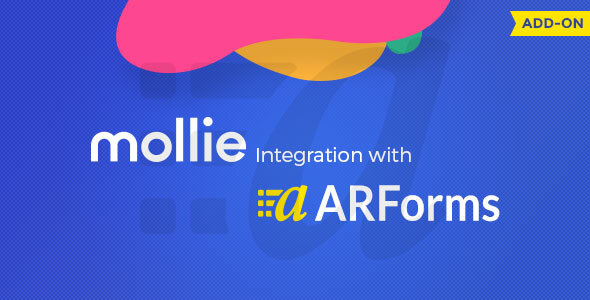 You can create forms with ARForms plugin, configure it with mollie and you are done. Users will be redirected to Mollie quickly after form submission. Once payment is done, it will update status too in form entries. After installing and activating the plugin, you will be able to find the ‘Mollie Configuration’ link under ‘ARForms’ menu. You can configure new form by clicking on “Configure New Form” button from top right corner. In this configuration settings, First Map your form and then insert mollie settings and select payment type and all done!